Here’s a rundown of the really great ones. The ones I think are really worth your time. And just so you know, most of them involve paying shipping and handling for the product (you know what they say about no free rides). These freebies are ones I haven’t seen on the myriad lists of new mom freebies and giveaways. And my list is not a bunch of coupons you don’t have time to cut or the ability to remember to bring to the store. 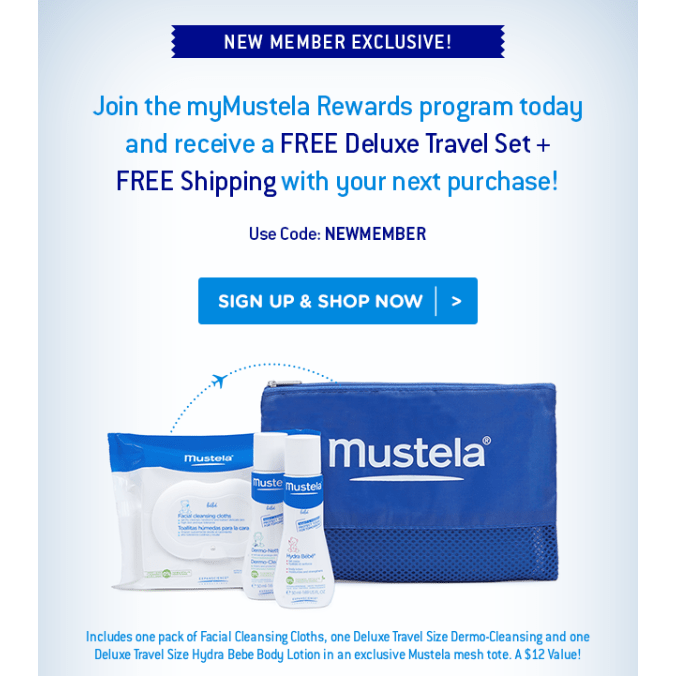 Join MustelaRewards and get a FREE travel kit and FREE shipping on your first order. I heart Mustela products in general; but one in particular. This product is AMAZING and every baby and new mom should use it: PhysiObebe! It is the jam for lots of reasons. The best reason is it gets rid of baby acne pronto. I have been a devotee for three babies now. It makes an amazing baby shower gift, too! When you join the club (use my referral code: 440748), you can use the code NEWMEMBER to get a FREE travel kit and FREE shipping on your order. Make sure you sign up for the rewards program first! Use code: 6D79EO in the checkout process to get them for FREE! Just pay shipping and handling for your nursing pads. A big trend in online shopping lately is subscription boxes. They are SO fun! But they can be really expensive (even with a coupon!). I found one that is absolutely FREE (except the $5 shipping) from Walmart! It is called a BabyBox, but it includes fun stuff for both mamas and babies. 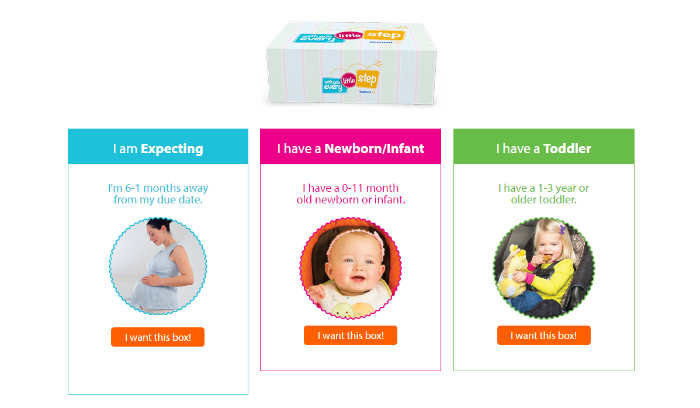 You can sign up as soon as you know you are pregnant and they will ship you sample boxes automatically a couple of times a year. You will receive email notification of when the box is on its way. In my previous boxes, I have gotten a baby bottle, pacifiers, smaller samples of soaps and lotions, and a full size teething remedy! I have been really pleased with the program. P.S. They also have a Beauty Box subscription! I use a specific pillow for nursing that is perfect for me but is not a specifically “branded” nursing pillow (more about that here). But I decided to try out this nursing pillow because it was FREE. I mean, if I hated it all I was out was shipping and handling. And I was surprised at the size of it. It is smaller than a typical Boppy Pillow. BUT, it is so useful for use while on the go. I find myself sitting in the car to nurse a lot – I am not much for nursing in public – and this pillow is PERFECT for that. The pillow is also good for propping baby up for wake time fun, so you can see baby instead of constantly sitting behind baby to prop him up. This pillow creates face time with baby and mama – always a good thing! It seems everybody shops on Amazon these days, but fewer people probably register for events on Amazon than the local big box stores. Amazon offers MAJOR incentives to change that. Register with Amazon for your Baby Registry and get some serious benefits and freebies! If you are a Prime member, you get even more good stuff! My favorite part of the Amazon Baby registry is you can add items from ANY site onto your Amazon registry, so you can get what you want from where you want. And all you have to do is share ONE link with your friends and family. They also offer a generous completion discount at the end of your registry. If you do not have a Prime account, you can always sign up for a FREE 30-trial while you are registering for your baby! When you do have a Prime account you get a BUNCH of good things! 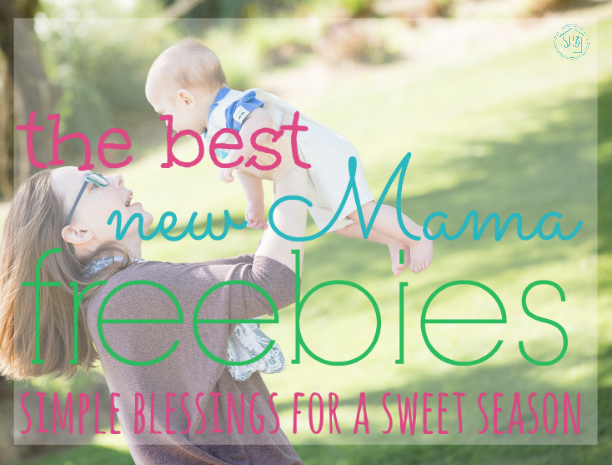 That is my list of the BEST new Mama freebies that I know of. Do you have another freebie you enjoyed when you were a new mom? I would love to hear about it, so I can check it out (and maybe add it to my list! ).